In the Summer, I love nothing more than entertaining in the garden (even if said garden is 1/7th the size of our old one) and nothing is more summery than cocktails. But stocking up your cupboard with all the ingredients necessary requires a lot of space and a lot of money. But this year I got sent (and am now addicted to) Parrot Bay frozen cocktails* with come in five flavours, including my all time favourite cocktail, the delicious Margarita! You simply buy the cocktails of your choice, pop them in the freezer for about 8 hours and then squeeze them out into a glass when you are ready to serve (sometimes it’s worth running them under the tap for a few minutes) and serve with a funky straw! 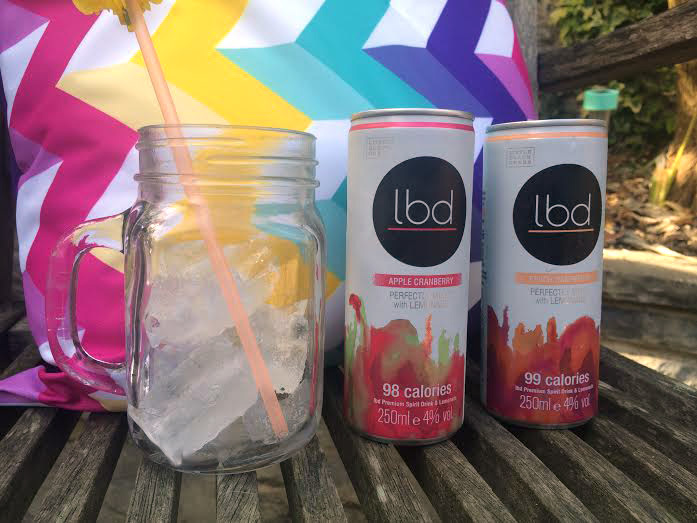 Another good option is also the LBD* range, which are yummy cocktails with less than 100 cals – just in case you are conscious of empty calories. My favourite one is the Peach and Raspberry one. Alternatively, you can make a Sangria or other fruit punch – make a big batch and then you don’t have to keep topping it up all day/night. What is your favourite summer cocktail?